« ISO 9001 (2015) and ISO for KM? What is in it for KM? You are invited to join our next Knowledge Hangout where we will identify typical pro- and anti-behavioral patterns when it comes to Knowle dge Management and Organisational Learning in our organisations. We will learn how to synthesise our discovery and insights into personas. Participants will have the opportunity to identify and shape practical ideas to implement that will amplify productive behaviour patterns and dampen less desired behaviours. practical ideas. The EAST framework is built around four simple ways to apply behavioural insights, namely Make it Easy, Make it Attractive, Make it Social, Make it Timely. 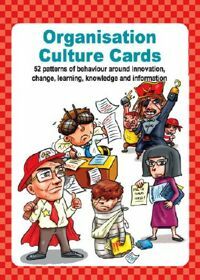 Anyone who is involved with, and cares about productive knowledge behaviours in organisations – knowledge managers and knowledge champions, L&D specialists, collaboration champions, Enterprise Social Network champions, community managers, facilitators of Communities of Practices, communication practitioners, trainers.